I live in Riverdale. So obviously the Riverdale Perk! Right now it's Richard II. But that could change, depending on who's asking. What is this??? Quintessence of dust?!!! If Polonius were at The Monarch Tavern, what drink would he order? Polonius would probably drink a Singapore sling. Or for a shooter... A fuzzy navel. Or if he was really feeling adventurous a Rob Roy (probably mistaking it for a cosmo). Not having my own children to draw from experience. But I suppose actually raising two daughters on my own would be the bigger challenge, so I'll take what I got. Americano misto. But I prefer to call it an Americhino. A latte is just too much milk for me. 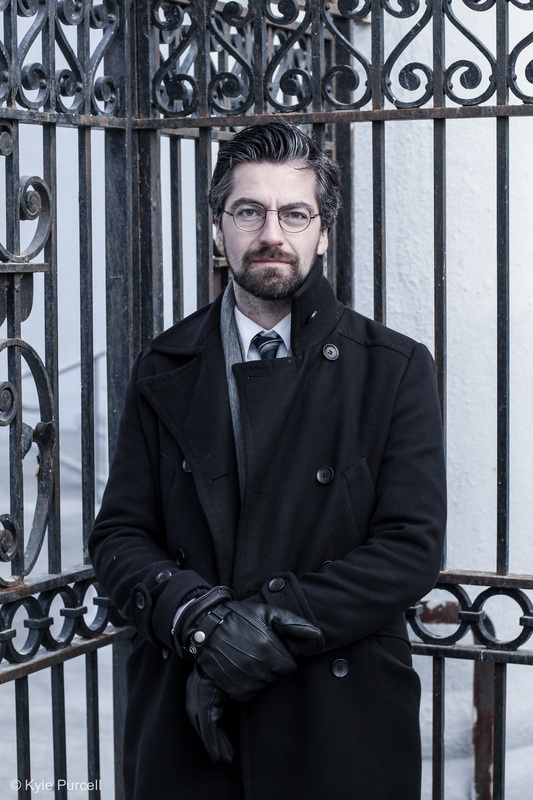 Daniel Briere plays Polonius in HAMLET presented by Shakespeare BASH'd. Photo by Kyle Purcell.